Osteoarthritis (OA) is the most prevalent joint disease characterized by pain and degenerative lesions of the cartilage, subchondral bone, and other joint tissues. The causes of OA remain incompletely understood. Over the years, it has become recognized that OA is a multifactorial disease. In particular, aging and trauma are the main risk factors identified for the development of OA; however, other factors such as genetic predisposition, obesity, inflammation, gender and hormones, or metabolic syndrome contribute to OA development and lead to a more severe outcome. While this disease mainly affects people older than 60 years, OA developed after joint trauma affects all range ages and has a particular impact on young individuals and people who have highest levels of physical activity such as athletes. Traumatic injury to the joint often results in joint instability or intra-articular fractures which lead to posttraumatic osteoarthritis (PTOA). In response to injury, several molecular mechanisms are activated, increasing the production and activation of different factors that contribute to the progression of OA. 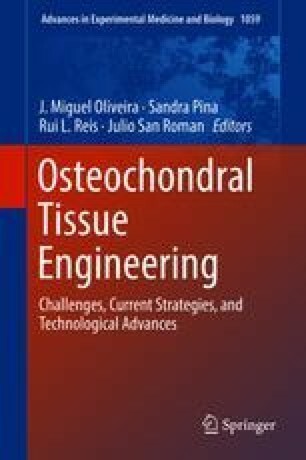 In this chapter, we have focused on the interactions and contribution of the multiple factors involved in joint destruction and progression of OA. In addition, we overview the main changes and molecular mechanisms related to OA pathogenesis. This work was supported by Fundación Progreso y Salud (Junta de Andalucía, project number PIN-0379-2016) and by the Ministerio de Economía, Industria y Competitividad (FEDER funds, project RTC-2016-5451-1). G.J. acknowledges the Junta de Andalucía for providing a postdoctoral fellowship. C.A. acknowledges the predoctoral fellowship from the Spanish Ministry of Education, Culture and Sports (BOE-A-2014-13539). Also, E.L-R. acknowledges the MINECO for providing a postdoctoral fellowship through the project RTC-2016-5451-1.